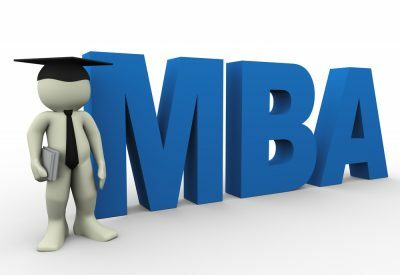 MBA is not just about learning managerial skills but also learning time management. And for this SIIB provides myriad of opportunities where we can hone our skills and also learn to balance the academics and the extra-curricular. SIIB being a student driven college has various committees that keep us engaged and make us leaders, letting us take vital decisions under the supervision of faculty heads. The day I entered SIIB, I was informed of numerous clubs and committees like Placement Committee, Alumni Committee, PR & Media Committee, Entrepreneurship cell, Kshitij (social initiative) and various others. It wasn’t easy to get into these committees. Each one had its own selection process with multiple rounds and of course, heated competition right from the start of college. This brought in lot of vibrancy and helped us know our batch mates as well. Students of different specializations conduct the annual conclaves like Marketing, Finance, HR and SCM conclaves. These conclaves provide us a platform to listen to eminent personalities in these specializations and put forth our queries when open to discussion, a great learning opportunity. We also have our annual cultural fest Ignisense organized by the students. Various competitions are conducted all across the year within SIIB and we are also motivated to take part in numerous national level competitions. It further gives us a chance to meet more people from other colleges, thus providing an exposure must needed. All work and no play makes Jack a dull boy. SIIB surely doesn’t support such dull people. Hence they have provided plethora of opportunities to keep the students fit and energetic. They have provided gym facility, yoga, zumba, aerobics and they also have provision for sports like football, basketball, cricket, table tennis, volleyball and swimming. There are intra-college and inter collegiate competitions running throughout the year. These experiences have helped me enrich my overall personality and have made me ready to take up any challenge that comes my way. I am glad to be a part of such a culture and I feel every student must proactively take part in such events. The difference between ordinary and extraordinary is that extra little factor which I get at SIIB. The Best time to Study ! !